Coun Joe Tildesley at North Solihull Sports Centre. Olympic medallist Colin Jackson will be visiting Solihull this weekend. A TOP sporting talent will visit Solihull this weekend to highlight the borough’s new sports and leisure partnership – and the subsequent £1million fitness boost. 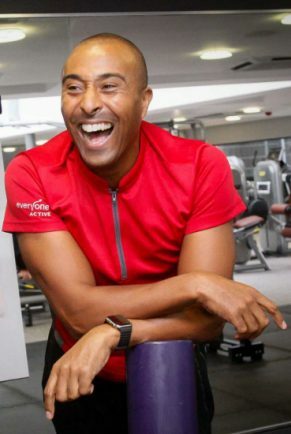 Olympic medallist Colin Jackson will be at Tudor Grange Leisure Centre on Sunday (September 16) to join the community for a free day of fitness fun. This event will be followed by an open day at North Solihull Leisure Centre on September 22, where Olympic swimmer Grant Turner will join synchronized swimmer and Britain’s Got Talent performer, Zoe Cooper, to make a splash alongside budding swimmers. Solihull Mayor, Councillor Flo Nash, will also attend both events, which celebrate the £1million improvement works to the centres’ fitness facilities and the new partnership between leisure operator, Everyone Active, and Solihull council. Former World Champion Colin Jackson enjoyed an extremely successful athletics career spanning more than 20 years. He competed in the 110-metre hurdles and earned numerous international titles. Visitors to Tudor Grange will get the once-in-a-lifetime opportunity to train alongside the Olympian during an exclusive circuit’s class, from 12.30pm and 1.30pm. The following Saturday, Grant Turner and Zoe Cooper will join in with a fun swim session aimed at giving young people the opportunity to develop their skills in water. The Mayor of Solihull said: “Our partnership with Everyone Active is all about motivating people to become more active. I am really impressed with the newly refurbished gyms – particularly the new kit for people with disabilities. 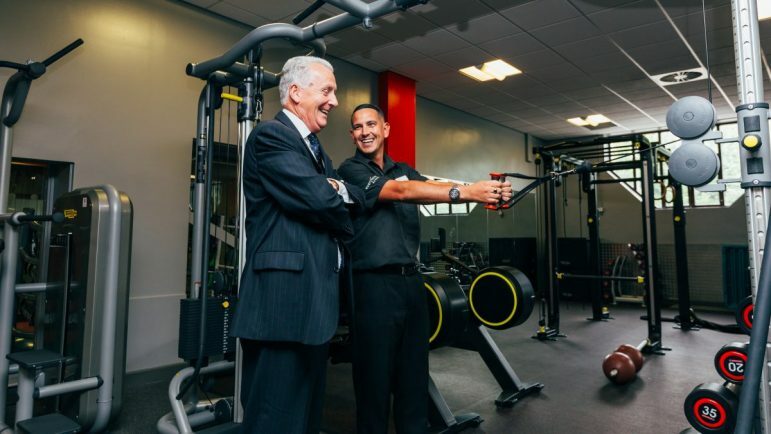 The fitness suites at Tudor Grange Leisure Centre and North Solihull Sports Centre have been transformed following a £1million investment from Everyone Active. Both new-look gyms were unveiled in July, and feature state-of-the-art gym kit including specialist apparatus for people with disabilities. Additional equipment has been installed and more space has been dedicated to functional training, giving visitors the option of a more varied workout. Wayne Desmond, Everyone Active’s contract manager, said: “Having these athletes at the centres will be fantastic.